Brain - works is what makes your LIFE work! What Your Brain Needs to Work For You! The brain is the most complex organ in the body. 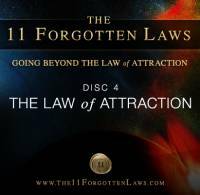 It produces the mystery of the conscious mind, our awareness of ourselves and our world and our ability to make free choices about engaging with the world. It generates and structures our thought, enables us to have emotions and mediates our spiritual lives – our sense of meaning and value and the proper context within which to make sense of our experiences. The brain gives us touch, sight, smell and language. It is the storehouse for our memories. It controls the beating of our hearts, the rate at which we sweat, the pace of our breathing and countless other bodily functions. It is the bridge between our inner lives and the outer world. 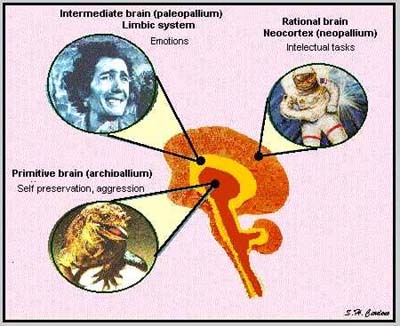 The brain can do all these things because it is complex, flexible, adaptive and self-organizing. ~ You have more than a 100 billion brain cells. Do you even know how to count that far, physically?! It is said that it would take around 3 000 years to count to this number! ~ Each brain cell is more powerful than a standard personal computer. ~ In its process of taking in information and processing it, the brain can grow up to 20 000 "branches" on every one of the 100 billion brain cells. See the diagrams of a young brain and the complex neuro network of an adult ~ The number of ideas your brain is capable of creating is greater than the number of atoms in the known universe. ~ Biologists discovered that parts of the human brain can generate thousands of new brain cells, every day. ~ When you are making mental connections in your thoughts, you are also, in the same instance, making physical connections in your brain. With every thought you think, you are literally making your super bio-computer more complex, more sophisticated and more powerful. It means that the thinker with which you are now reading this, is not the same one with which you walked to the computer! We have selected a fabulous range of books & Multimedia tools for you. Take a look. Neuroanatomist Jill Bolte Taylor had an opportunity few brain scientists would wish for One morning, she realized she was having a massive stroke. As it happened -- as she felt her brain functions slip away, she could literally feel the wide openness of the right hemisphere. She describes her journey and the effect on her life. 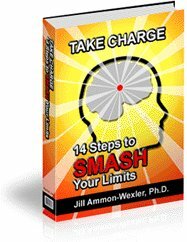 She calls this experience "My stroke of Insight"
SUPER MIND EVOLUTION SYSTEM - Learn to use more of your brain! Click Here! Top Right gives us vision and Inspiration. Investigate this. Lower Right gives us our people connection. Maybe you need more info around your people skills? ~ You have multiple 'intelligence centres". #	One kind of neural organization enables us to do rational, logical, rule-bounded thinking. It gives us our IQ. # Another kind allows us to do our associative, habit-bound, pattern-recognizing emotive thinking. It gives us our EQ. # A third makes it possible for us to do creative, insightful, rule-making, rule-breaking thinking. It is the thinking which we reframe and transform our previous thinking. This gives us our SQ. ~ The brain operates on at least five different and separate wavelengths - each enabling you to operate in a different mode. ~ There is a control transmission system that flashes electro-chemical messages instantly to every part of your body. Real communication is happening! There is 'speak' between your thinker and your body cells! ~ your non-dominant brain hemisphere "switches off" during excessive stress. ~ It generates approximnately 20 watts of electricity. Every time a new connection is made, there is literally a spark of electricity! Interested In Increasing Your IQ? Now there is a proven way to increase your IQ! Money back IQ increase guarantee: 10-20 points on a validated IQ test, and >40% short term memory gain. Your grey stuff is so much, much more!